Youth Summer Camps registration has started. 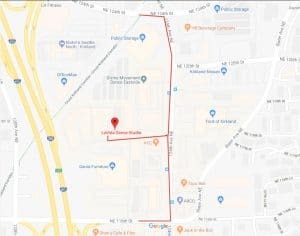 Save your spot here! Not sure which class is right for your child? We have many to choose from for kids of all ages! From Ballet to Hip-hop and more, take a trial class with us and we'll help you decide. 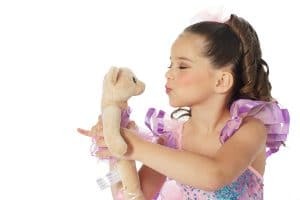 Whether you’re an experienced dancer hoping to get back on the dance floor or you are putting dancing shoes on for the first time, we will help you get started. 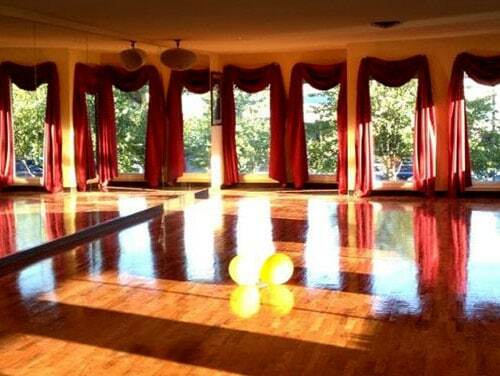 Our rental studio space in Bellevue features hardwood floors, natural lighting, and a whole lot more. This space is ideal for meetings, birthday parties, and celebrations of all kind. If you’re looking to cultivate your dance skills, our ladies performance team is for you. LaVida Dance Studio is dedicated to building strong and confident high-level dancers. OUR VALUED COMMUNITY IS WHAT MAKES OUR STUDIO A SUCCESS. See more of our glowing reviews at Listen360! We have only been to one tango class-however we felt the atmosphere was very welcoming, professional-yet easy going. The breakdown of the steps was very helpful and we were encouraged to dance and figure things out and not just watch the teachers. I have been truly impressed by the well rounded approach that the instructor used during the first dance lesson with the 3 year old group. My daughter looked like she truly enjoyed the lesson. She happily participated and eagerly repeated the various dance moves. I loved the variety of dancing music and techniques that instructor used during the first dance class. It was fun and very much enjoyable experience for both of us. We hope the LaVida Dance Studio will help our daughter to grow into a confident dancer. Join us in an exciting journey of Trolls, as they go on an adventure to save their friends captured by Bergens and share the meaning of happiness! 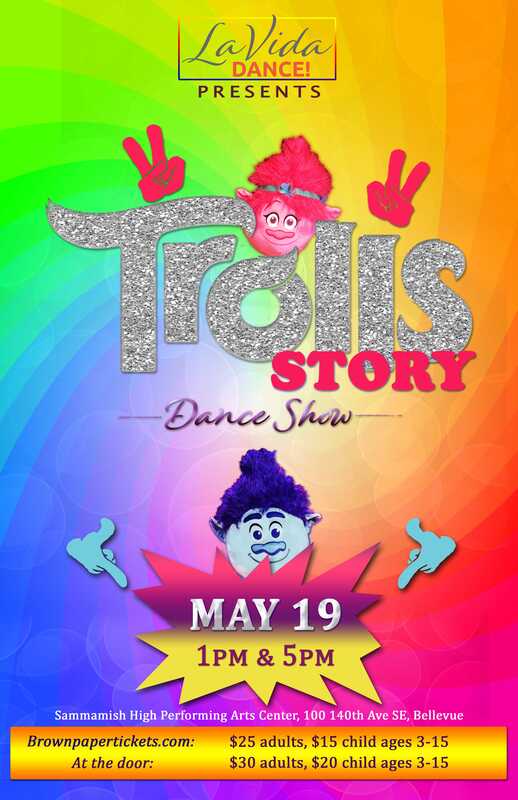 ★ Trolls Story ★ is an original staged LaVida Dance Studio production choreographed by the studio's director & faculty based on movie Trolls. It is performed by instructors, youth and adult students in various dance styles: ballroom, lyrical, jazz, hip-hop, ballet and more. This dance production will be an energizing experience of the intriguing story told on stage through the medium of dance, featuring colorful costumes and invigorating music. Each dance, each style represents an idea and tells part of the story. It will be enjoyable and amusing for adults and kids alike! Limited seating is still available for both showings! Note: this is a kid and family friendly event with age-appropriate costumes, music and moves. 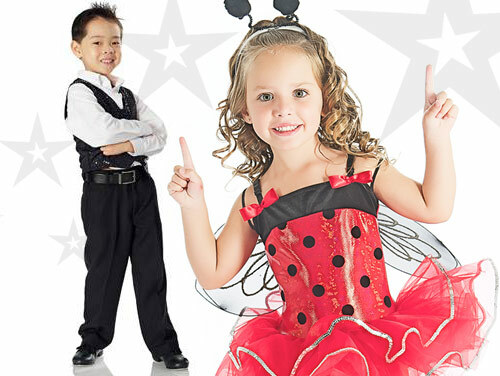 LaVida Studio is the only studio in the area to offer the award-winning Twinkle Star Dance Curriculum for preschoolers. Students are introduced to ballet, jazz and tap. Join LaVida's Rising Star Performance Team!